Using Categories and Tags Novice Novice tutorials require no prior knowledge of any specific web programming language. 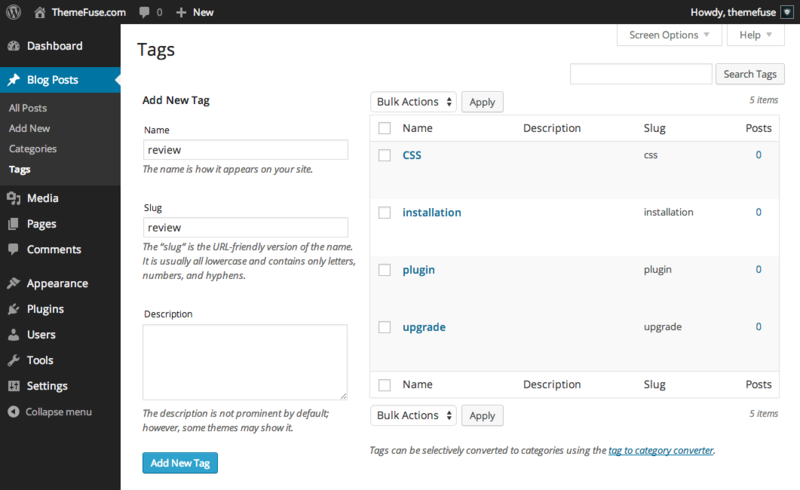 WordPress provides two ways to organize your blog posts — categories and tags. Categories and Tags allow you to subdivide the content of multi-item pages into smaller subsets which can be identified more easily by your visitors, thus making the content of your site systematic. Categories vs. Tags: Which one should I choose? 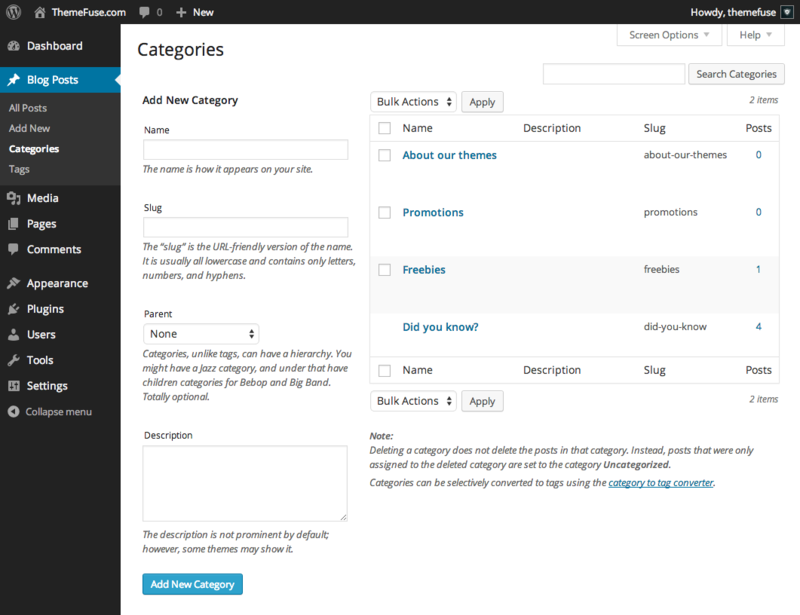 Categories: are used to group your blog posts. They are usually indicators of what your blog post is really about. 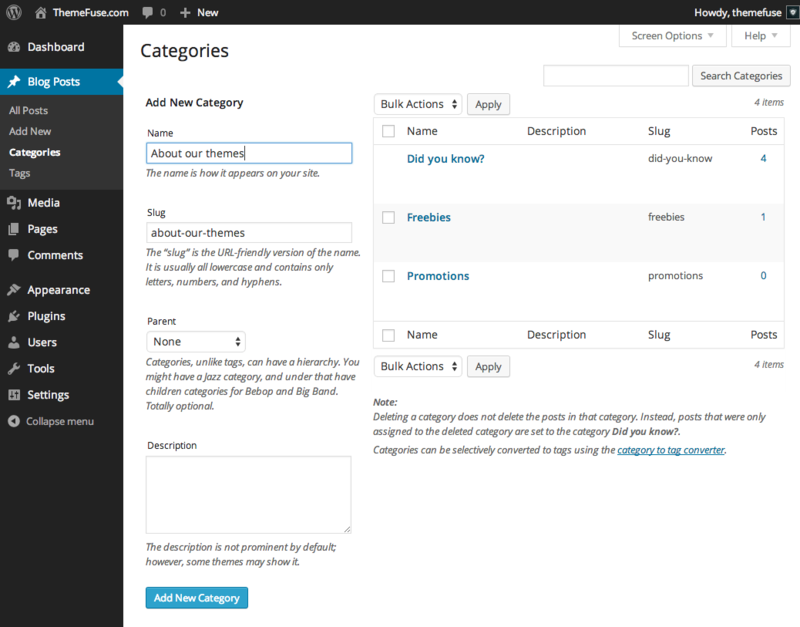 Categories help your visitors to find the right type of content on your website. They are hierarchical and you can also create subcategories. You should always categorize your blog post otherwise your blog post by default is shown under "Uncategorized" category! Tags: are the keywords that are used to specifically describe your content. They represent the macro data that you can use to micro-categorize your content. 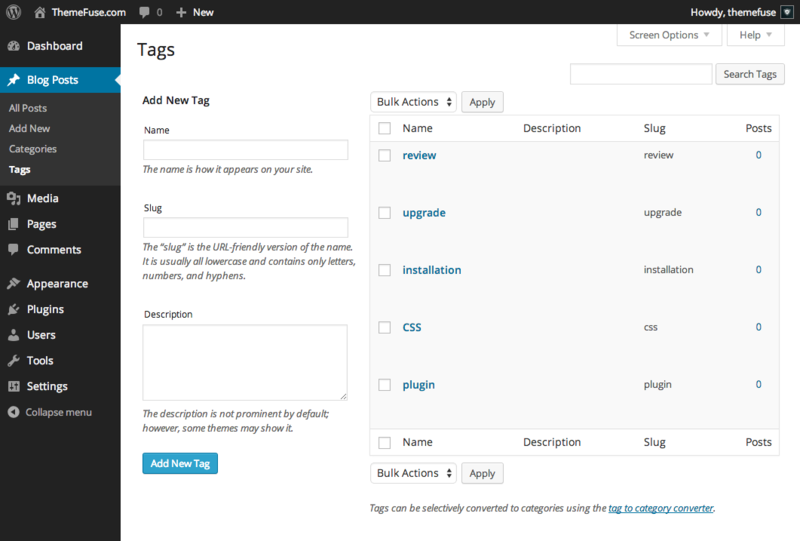 Tags are not hierarchical and are optional, as compare to categories.